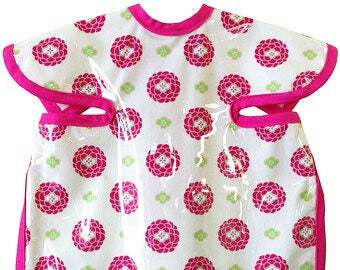 Our deluxe apron bibs are made with lead free plastic. Apron bibs tie in the back. Also machine washable: cold water wash and hang dry.